All laid up and waiting to harden. 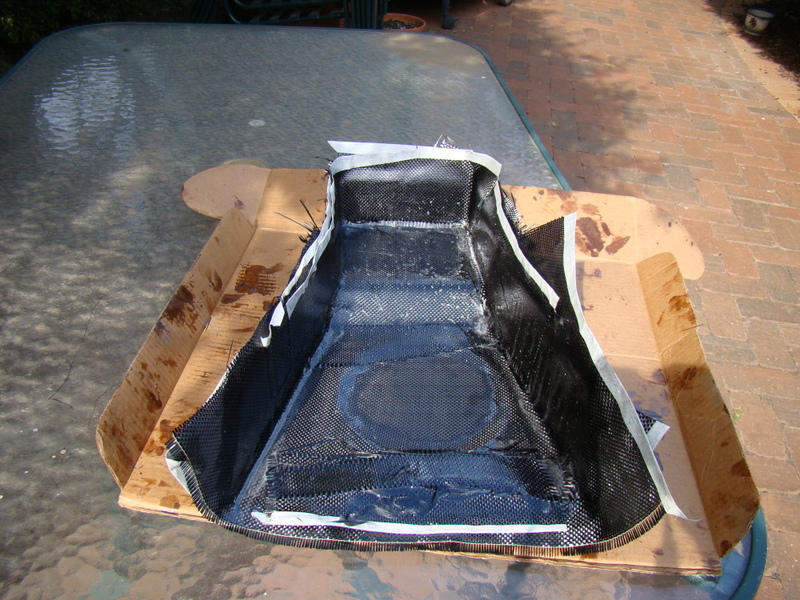 I didn't take further photos of the inside but after trimming to shape I applied fibreglass to the inside of the edges to stiffen them. The carbon fibre is very light and strong but was flexing on the edges and as the carbon fibre is very expensive it made economic sense to brace it with the cheaper fibreglass.